With an extensive list of accolades and legions of devotees - from beauty editors to bloggers and countless Cult Beauty customers (just glance through the reviews) - Emma Hardie Skincare's multi-award-winning Moringa Cleansing Balm has earned 'skin care essential' status, with good reason... A pleasure to use, this velvety balm smells incredible (thanks to its intoxicating cocktail of essential oils) and it conditions your skin as it cleanses; effortlessly melting every trace of make up, daily dirt and grime while helping to replenish your cells' reservoirs. Suitable for all skin types, a little goes a loooooong long way so each jar will last for ages, making this a fabulous investment in the future of your face. 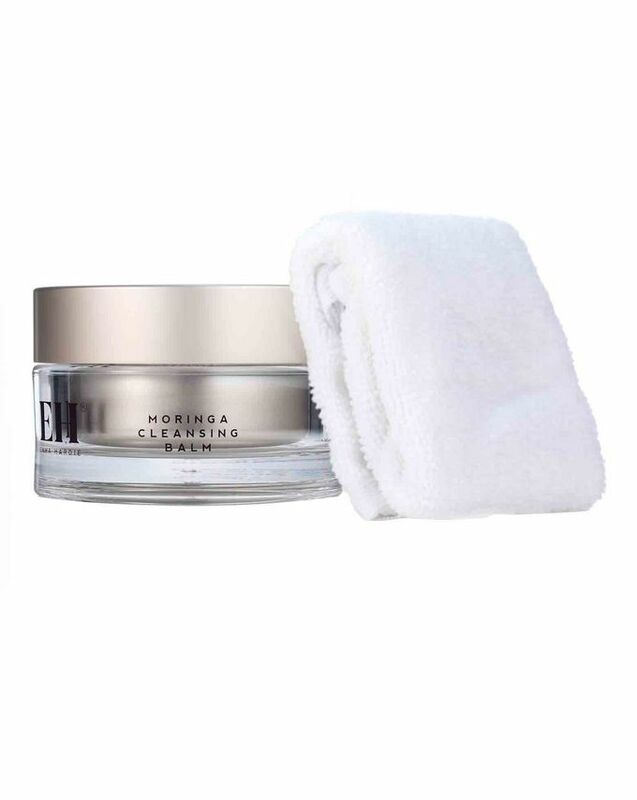 Totally deserving of its never-ending praise, you'll find a pot of Emma Hardie Skincare's cult 'Moringa Balm' in every savvy skin care guru's bathroom cabinet. The perfect first step in your end-of-day cleansing routine, this indulgent concoction dissolves dirt and make up while nourishing skin and dispelling your stresses - thanks to the extracts of orange and jasmine which surround your headspace with heavenly, soul-soothing fragrance. Laced with wild sea fennel, vitamin E and rose oils to rebalance and recapture radiance, this leaves your complexion impeccably clean and ethereally soft. It's brilliant for those who're prone to dullness - combatting congestion while boosting skin's dewiness - and when its massaged with your fingertips you'll stimulate the blood-flow to help 'feed' your cells and keep skin feeling 'plump' and looking luminous. The perfect way to take the day off, this doubles as a therapeutic treatment mask when applied to clean skin before bathing - just massage all over your face (and your neck!) before soaking for ten blissful minutes; the steamy atmosphere will help to 'de-gunk' your clogged pores and maximise the penetration of the strengthening and moisturising actives. Moringa Balm: take no more than a 5p piece of the Moringa Cleasning Balm into the palm of your hand to create a cream. Apply to the face, neck and eye area and massage thoroughly into the skin. To remove, soak a cleansing cloth in warm water, squeeze out the excess and gently wipe over the whole face and neck, taking extra care around the delicate eye area. Emma Tops Tips: Use as an overnight facial treatment - the skin appears hydrated smoother and more youthful. Caution: If the product enters the eye, wash out thoroughly with plenty of clean water. Stop using this product if you develop redness or itching. Professional Dual-Action Cleansing Cloth: soak the Dual Action Professional Cleansing Cloth in warm water, squeeze out the excess and gently wipe over the whole face and neck, taking extra care around the delicate eye area. Use the muslin side of the cloth to remove excess make up and grime and the microfibre side of the cloth to deep cleanse, buff, brighten and tone the skin. Machine washable. 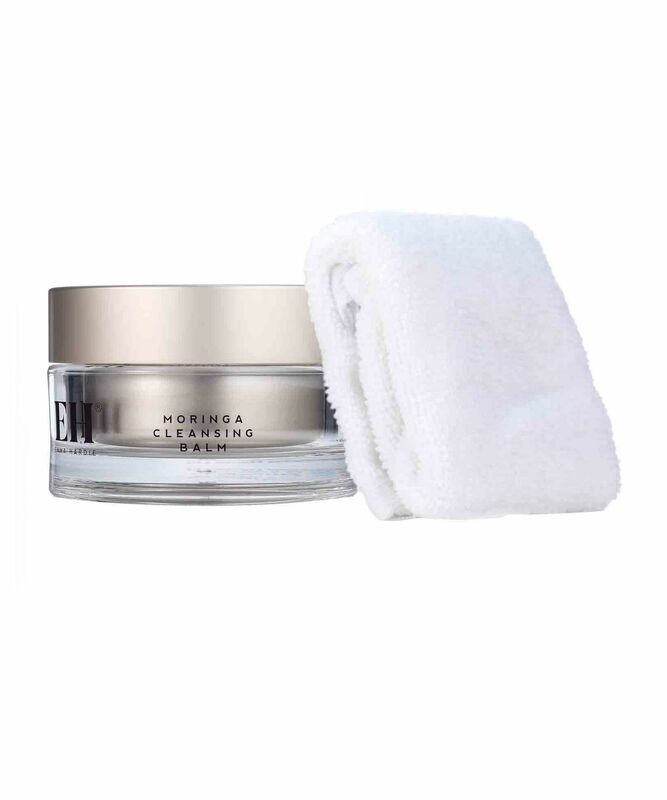 It is best cleansing balm for makeup. I have sensitive combination skin and my skin is not oily after wash balm by towel, it surprised me. It is not so good for my eyes, but still worth the price. The best cleanser I've used by such a long shot that I hate the idea of using anything else. This stuff is the dream, it takes off makeup incredibly well but doesn't sting your eyes at all, it cleanses really thoroughly but leaves your skin feeling soft and hydrated – oh yeah and the cleansing cloths (which I've now amassed quite a collection of!) are far better than normal flannels. Please let the supersized version come back in stock!!! This leaves my skin feeling so clean but not dry at all!! It feels so soft and refreshed, I cannot count how many cleansers I have tried that make my skin feel dry and tight. This does the complete opposite. If you are thinking of buying this, please do, you won't regret it. First off it smells amazing.. second it is so great for super dry sensitive flaky skin.. if you pat it on, leave it for 10-15 mins then start rubbing in circles it really moisturizes irritated skin. The cloth/towel is also so soft and amazing for irritated dry skin.. my skin has improved dramatically since using it! I switched to this from a traditional cold cream and my whole face texture changed, it was like a miracle. It's now smooth and even and almost glowing. I'm on my third pot now. Would recommend getting the supersize as it's better value for money, though! Best quality cleanser never breaks me out and smell like divine. I wish I could have a perfume like with its smell. This has all I want in a cleanser, a beautiful, non-stripping texture, it emulsifies with the addition of water, and it has a lovely but not overpowering scent. Really, I have a lot of cleansers. Emma Hardie - the best. Perfect for contact lense wearers too! I have been very hesitant to use cleansing balms because I wear contacts and even need them when I’m taking off makeup. I was worried my lenses would get all greasy and I would have to take them out for the day. So I ordered the Christmas cracker size to give it a try and it was absolutely no issue. You can rub the balm over the eyes and it will take off mascara in a flash. This has got to be better (and quicker) than rubbing eyelids with cotton pads! Buying the large size now! This feels great on my skin, love the smell, takes off all makeup without irritating my skin. I got this in the CB goodie bag and just purchased it again because I loved it so much. And I cannot live without it. Feels divine and luxurious. Smells like heaven and I am happy to be home in the evening and enjoying the relax this brings to my skin and mood. Thank you Emma Hardie for inventing this product! I like this cleanser, and I keep coming back to it, although I'm not sure that it's worth the hype. It does smell and feel very pleasant on my skin. I don't notice a huge difference in my skin, but it also doesn't cause any irritation. My Holy Grail thanks to Caroline Hirons! I live in the caribbean, and here is a lot of change of weather that makes my skin sensitive. For two years I’ve been struggling with adult, hormonal acne. This balm has changed my life. Has helped with inflammation, breakouts, it’s a life saver. Plus a little goes a long way. Tiny amount and rub into hands and then go to your face and take away with the Emma Hardie Muslin Cloth warmly damp! Unfortunately, I do not get the hype about this product. I had high expectations for this cleansing balm because of the great reviews, however it does almost nothing for my skin. It doesn't get all my make up off. No matter how little make up I use I struggle to get of eyebrow products, mascara and eyeliner. I have to rub to get it off, if I use it with a gentle touch it won't remove the make up. It's okay at removing face make up, but it struggles with the eyebrows and eyes. Keep in mind that I don't use way too much make up. It doesn't smell lovely or amazing, it just smells whatever. It also leaves an oily residue on my skin which is hard to rinse away with another cleanser. The good thing about it is that it doesn't break me out, doesn't create a film on my eyes and isn't bad to my skin. Which is good enough for me to empty it, but not repurchasing. It removes the make up, but I have to spend way too much time, and I need to rub, which is not good to the eyes. There are several other oil cleansers/cleansing balms out there that are much better than this. A gorgeous cleansing balm, perfect for all skin types, but particularly nice for me as someone who is terribly acne-prone. The balm is silky and soft, and a little bit goes a long way, which is always nice financially. The smell is lovely, fresh and spa-like. For those with oily or acne-prone skin, like myself, it can be scary to use a cleansing balm (more oiliness?!) but honestly, this is such a great cleanser. Use the soft cloth to wipe it off once you have massaged it into your skin, and watch grime and dirt melt away. Really luxurious, and my skin feels and looks great after use. Helps with my spots - just the perfect cleanser. 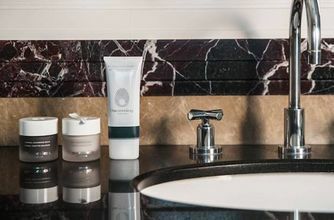 It's my favourite cleanser, I love the texture, how it melts, the smell, the way it cleans.It´s the best part of my day when i massage my face and get my skin soft, clean and hydrated. Smells amazing, removes heavy make up and leaves skin soft and plump. Love it. This is a lovely cleanser, but I flew through it when using twice daily. It’s too expensive to use for taking off makeup so better used as a second cleanse. Good for sensitized skin. I purchased the mini version of this plus cloth which is no longer available from Cult but it’s the same product essentially. I just don’t understand the hype, so many positive reviews but when I tried I found it difficult to massage into my skin and I didn’t like the feeling of it after I had wiped off my face. The scent also put me off. I could easily see it creating spots on my face after some time, just too heavy for me, I’m afraid. If you can get your hands on a small size first I’d recommend that initially before jumping into the full size, just to be safe! Been using this for more than 5 years and nothing beats this gem. It gives you luxurious and spa-ish feeling, a definite treat for the skin. Well, what to start with....it cleans face and eye make up, leaves the skin clean, fresh, nourished, eyes do not water, it smells amazing. And the cloth, the cloth, oh my, the best cloth ever tried, perfect for my rosacea and extra sensitive skin. I got a small pot of this in my creators' goody bag and I just say it's on my wishlist after the first use....it smells amazing!! And melts away makeup perfectly!! I love to double cleanse and after using this first I'm confident that I'm makeup free!! And once again.....the smell is to die for!!! I've had my moment with this product and it was good while it lasted. It removed my makeup efficiently and got the job done. I guess I just wanted to try more products and realised I prefer cleansing oils to balms. Just a personal preference but this is still a good product! Beautiful smell, insanely good at removing makeup, leaves my skin bouncy and fresh and honestly the most re-purchased product I own. I watched the Emma Hardie video on the cleansing method and it makes a huge difference. I also love the cleansing cloth that comes with it. Emma Hardie: I salute you. I know everything that is said about this balm and everything is true. This is the best and loveliest cleansing balm I've ever used. I don‘t want to live without it anymore. Worth the price and skin saving during winter time. Smells divine, cleanses brilliantly yet leaves your skin feeling soft, hydrated and nourished. One of the few cleansers I'll use as a first or second cleanse as does both jobs beautifully. Also good as a morning cleanse to prep skin for makeup. Must be on my 7th or 8th pot by now and that includes 2 supersize pots. EH cleansing cloths are also excellent. If they ever stop making this, I'll cry. I keep buying cleansers because keeping my face hyper clean has become an obsession. But I always have this at my dresser, I'm on my 5th bottle now, and will keep it on standby. My skin is combination, I tend to have sebum, dry patches, basically very moody depending on the season. Because of pollution and work, I tend to look tired as well. I have been using this for 2 years, and it has contributed in transforming my skin! I never break out with, it's perfect for my sensitive skin, and makes me literally glow. Not to mention the smell is glorious, look forward to smelling this as part of my nightcare regimen. I've often used it without the cloth, since I'm lazy, I feel it makes no difference, but using the cloth is very good for a deeper clean. This is the best cleanser I've found. It smells incredible and it removes every trace of make-up (including waterproof mascara). It's a beautiful cleanser and a pleasure to use. Skin is soft and thoroughly clean after use which makes an amazing difference to the skin. I will keep repurchasing this product. 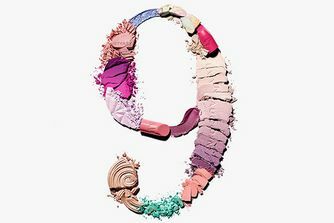 I really loved the smell, consistency, cloth and the way it removes all makeup. BUT I just can't get on with it. It brings me out with spots every time, no idea why. I have very oily skin but from my understanding, that shouldn't affect me using an oil based cleanser. So very disappointed because if this wasn't the case I would 100% use this cleanser forever. This product is simply the most amazing cleanser I've ever used. Thank you Emma for developing such a wonderful product. I have never used a cleanser as effective as this at removing make up. It is gentle, works a treat, smells like a dream and lasts a loooong time. Worth every penny. I bought the Christmas bauble as a trial size - and absolutely love it. The balm melts beautifully. It feels light, smooth and hydrating on the skin. I really didn't want a balm that feels thick and clogged on application. Some products trigger breakouts for me. This, however, is perfect. The balm cleanses the skin thoroughly - removing all my make-up, but without stripping the skin. I only use it with the Emma Hardie cleansing cloth and will be purchasing the bigger pot and more of the cloths. I love this product and it has become a regular part of my skincare. As for the scent - it is gorgeous! I absolutely love the smell of orange, neroli and mandarin extracts. It's uplifting and citrusy, but also sweet. I bought this almost two years ago and still have some left! Removes make up effortlessly and makes your skin feel great. It does smell great but I suffer from migraines so I can't use it sometimes when I have a headache as the smell makes me worse (migraine sufferers will know what I mean) but overall fantastic product. All I can say is... Wow! I bought the cute little Merrily Moringa bauble to try out and I'm so in love with this cleansing balm that I've already joined the waitlist for the full size! First of all, it smells absolutely delightful. I try to make an otherwise tedious routine of taking my makeup off into a relaxing experience and the smell definitely adds on to that. Secondly, my skin is SO sensitive and reacts to anything, but not this! This just makes my skin feel so smooth, plump and fresh, while melting off any traces of makeup off my skin. Game changer and 100% worth the hype and price, seeing as the tiniest amount lasts you ages! My very first balm cleanser.. and my god this smells amazing! I have fairly sensitive skin, and I've always stayed well away from scented products, even naturally scented ones but I am now completely addicted! Because of my sensitive skin I don't wring out every drop of warm water from the cloth, and I wipe very gently.. but I can't help double cleansing with this, I am so in love with the smell. And there is no dirt/makeup on my next step (tonic on cotton balls) so that's proof that it cleanses really well. I'm very happy with this product! I want the 200ml next. My slightly sensitive skin doesn't like this product all (but I'm ok with the fragrance). After a big investment I'm sorry that this will likely have to be cast aside. The natural oils in this obviously not ok for everyone, be warned. Fantastic product, it leaves my skin soft and clean but maintains all the essential oils. I love love love this product. It removes makeup like a dream and my skin doesn't feel stripped after using it. One thing that would make this product even more wonderful is that if came in a pump. I'm on my second jar and a wonderful facial cloth too. Love this balm. My husband loves it too. It helps regulate oily skin so I keep coming back to it despite trying numerous others out there. Does what it says on the tin. Too greasy to use on eye makeup for me so I use a separate eye makeup remover first. My Mum is a Liz Earle addict but is also converted after I sent her some of this for Mother's Day! Too oily.....not taking whole eye make up off....indeed skin does not feel tight...I don't know really. I wanted to try this because of all the great reviews but unfortunately wasn't helping me at all. I used to use the Su-Man cleansing gel and it worked perfectly for me, I used this for a week and my skin reacted very badly. I have small bumps under my skin which was sore and red all the spots were around my lower cheek and chin area. I completely stopped using it and my skin has subsided tremendously, I am still working on the dark spots though. Sadly not for me. After reading so many good reviews about this product, I had to try it and it does not disappoint. Even after the first use my face felt so soft. After 2 weeks of use my skin tone has evened out and looks glowing. I will definitely be repurchasing this. This may be wonderful for dry/normal skin, but I do not recommend this for anyone with combination/oily/congested skin. I broke out immediately after using it. The oils in the composition are too heavy to be suitable for this kind of skin. Unfortunately I discovered it too late. There are much better cleansers out there. This balm literally changes my life! I haven't used foaming cleansers for a long time now, so the balm concept wasn't new to me. But I really enjoy using this one. When I was ill and my skin was particularly sore I applied it around my nose area with severe dry patches like non-rinse balm. In a night it healed everything! Love-Love-Love! The Emma Hardie cleansing balm, feels really good. It has left me with tons of compliments from friends and colleagues. The amazing scent lingers after you use it and makes your skin feeling fresh. Love, love, love this cleanser! Great smell, nice texture - very effective product. Enjoy cleaning with it, especially in the hot, humid climate of the south US. Will definitely repurchase. I have combination to oily skin. It gets me some spots and breakout when first starting to use it, but the skin will soon calm down when you stick with it!! I think this balm suits for all skin types. The balm makes my skin so clean and fresh (just like making my skin breathe with all dirt removed!) and effectively remove all make up without making my skin dry out! Even for removing the eye make up, the balm does a nice job and won't irritate my eyes. Love the balm and the cloth as well. Really does a great job and worth the hype. Will definately re-purchase it. I've used this balm for quite a few years now and it really has changed my skin. I used to have very sensitive problematic skin and this is so soothing as well as effective. It smells absolutely divine and I can't imagine my routine without it. I've used as a mask as well as a cleanser and it's amazing on other areas if they've had irritation or dryness. A tiny amount goes a long way and I've used this as a massage product and it works wonders. This is definitely a must have product of mine and I'll always have a spare just in case I run out. It smells nice but to me it can not be compared with Eve lom, it doesn't clean skin as well as the latter or any other asian oil, these are the most efficient. I got spots every item I use it so I had to present it to my friend. First, this smells so good. Secondly, I use it with and without water...oh the cloth...I wasn't even thinking I'd use, but I do...such great quality...I am adding this to my it list. I love love love it! This cleansing balm is absolutely amazing!!! My skin was breaking out and was looking red and irritated and this helped so much. I massaged it in and left it on for a couple of minutes and my skin was soft, hydrated and clean. It's the best cleanser because it's sensitive but it still cleanses really deeply and well. LOVE IT! My face feels really clean after using this product. A bit pricey but it lasts for ages. The balm is great, like a facial massage in a jar. The smell is soothing and calming. But I just didn't get the hype around the cleansing cloth. I use it to wipe off the balm as gently as I possibly could. But it ALWAYS leaves a scratchy feeling on my face, esp on my under-eye areas. Third time I have purchased this and it's just a holy grail! Believe the hype, it's worth every penny. I have tried many balms before this one, so `i'm still interested in testing a few before repurchasing this one specially considering the price. I absolutely love it though, its so easy to glide on, and melts off all the make up, and leaves the skin super clean and hydrated, I do use a gel cleanser after it because I like to double cleanse at night. 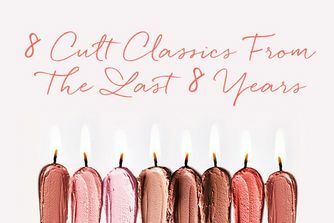 I got a generous sample in Cult beauty Goody bag last year, it was so generous that it took me over 8 months to finish it and I wear makeup (light makeup) everyday! I like how you don't need a lot to get rid of makeup but.. it is too oily for me. The weird thing is, it is oily but after I wash it off it strips off my skin that the next day it gets super flaky :( The smell is a NO NO for me, it smells like an old lady.. and no it does not go away! I dreaded washing my face because of all these things I mentioned... I don't know why I kept trying to like it but I just couldn't bring myself to. Also, you need a dampened towel to use with this product otherwise, your face becomes oil central. I won't purchase full size. This smells gorgeous and does remove waterproof mascara. So, it does the job and at the price, I expect it to. However, The Body Shop camomile cleansing butter does a similar, if not faster job on my mascara and is a fraction of the cost hence me docking a star. I don't think it's worth the price for a few seconds on the face. I love it! It smells great, the consistency is amazing, it spreads very evenly and it does a great job removing makeup. My number one cleanser for sure. I’ve been using this as a make-up remover and cleanser for a month now and I Iove it. It goes on beautifully and takes off my make-up in one go, and leaves my skin clean but without feeling greasy (like make-up wipes do) or tight (like harsher cleansers). It smells incredible as well! As a note: it did make my skin break out initially, which it’s prone to do when I start a new product, but it cleared up quickly. I love it! It removes makeup thoroughly. Especially it is good to remove eyeliner. Five stars are not enough to rate this product: best cleanser I have ever used in my life. Thank you Cult Beauty and Thank you Emma Hardie. Good, but is it worth the price? It´s been on my wish list for years, and was sure it would accomplish something my regular oil cleansers don't. But frankly - using something with this price tag to remove makeup is, in my opinion, not worth it. It feels lovely on the skin, but no different from the oils I normally use to remove make up. In the cleanser phase, I´ll rather put money on the second cleanser and what comes after. I have used so many different cleansers over the years, but this one really is the best. Amazing smell, lovely feel and texture, and your skin really glows after use. I like to really massage it in so I can enjoy the scent as long as possible. I absolutely love it. I have spent lots of money trying different products to fully remove makeup, but I ALWAYS find after I cleanse and wash my face there is still makeup on my towel when I finally tone. This is the only product I have ever used which fully takes up all signs of makeup. I have sensitive dry skin and it works perfectly. Won’t be without it now. I'm on my second tub of this and wouldn't be without it now. I love the texture and smell and it defiantly is the cleanser I turn to sort my skin out. I have skin that doesn't like much and tends to get spotty if I use the wrong thing. This makes my skin happy. I received the sample product from CB goody bag long time ago, leave it there for sometime until one day I had to travel for a week and I didn't want to take my big jar of cleanser so I took this away with me. The rest is history, I never look back for another cleanser. I keep buying the big ones. The smell is amazing and make you super relax after a long day, the jar is luxurious, the product melted into skin perfectly and took off away make up and dirt really good. When rinsed off, my face felt smooth and smelt wonderful. Magical. I received the cleanser as part of Cult's 10th Birthday goodie bag! I have rosacea and suffer from dry sensitive skin, and I was honestly blown away with how calming and luxurious this cleanser actually was, like magic! I was using La Roche Posay toleriane cleanser and I am now completely sold on Emma Harding's Moringa cleansing balm. Using this product for just over a month now, I have reduced redness, soft hydrated skin. I recently decided to 'up my game' in regards to skincare, so have been watching a LOT of YouTube videos (shout-out to Caroline Hirons and Steph Nicole), and searching reviews and ingredients on products I am interested in. Obvs, this cleanser was one I chose to now have in my routine, and my gosh it's worth it! The scent, the texture, the effectiveness...everything is bang on! Definitely now in my permanent collection. I am so impressed with this product. I received this in the 10th birthday goodie bag and have used it for just under a week and my skin has never looked better. I have always struggled with having clear clean skin free from breakouts. I am an engineer so constantly covered in oil and other chemicals and this product has cleared my skin, unblocked pores and kept it from breaking out. Amazing. I find the balm smells good (a little old-fashioned) and works well as a makeup remover, but my second wash with a different foaming cleanser couldn’t get rid of the occlusive oils. Which is probably fine in winter but I wouldn’t recommend it for those with sensitive skin or summertime. I’m going to use it only around the eye area to avoid breakouts. This is so so moisturising and smooth. It makes your skin feel so fabulous! The only downfall is the price! Also, wish it came with a pump so you don't have to stick your nail in the pot every time - not very hygienic. Great moisturising cleanser, product melts like butter! It has a very bontanical fragrance. This cleanser smells gorgeous and creams on my face very easily. After wiping down, my skin feels rich and happy. I've had acne-prone skin since I was 13 and for years, battled against it by not using oil when all along I should have been pasting that stuff on my face. Anyway, I've used a lot of oil cleansers since I got wise and this is by far - BY FAR - the best. The smell alone makes it feel like such a treat at the end of the day. This is my holy grail skincare product. I’ve been using this cleanser now for the past year and a half! I switch between this and Liz Earl. I really do feel that the Emma Hardie cleanser is extraneous luxurious and provides a deep cleanse to remove all makeup and dirt! Although this cleanser is slightly more on the pricey side it did improve my skin completely as I used to get a lot of breakouts. Bought this after reading the great comments here at Cult Beauty. I did y research and ended up at Caroline Hirons youtube Chanel. She said that it’s the best cleansing balm out there and I have tried a lot of them and I’m 100% agreeing with Mrs Hirons. This is the best!!! And the cleansing cloth coming with it also gets 5 out of 5!!! I’m in love! If you add one thing to your skincare routine make it this. This is my few minutes of the day that are all mine. Nothing has ever left my skin feeling so clean and nourished. Give yourself a little facial massage with this balm warmed between your fingers.Great for removing stubborn eye make up too. Use as a face mask while you bathe and let the steam open your pores for a deep clean then buff off. Use any excess on the back of your hands. My 200ml pot had lasted me just over two months and I'd say I'm pretty generous with it. This is probably my third pot and I'm about to re-purchase with my gift card from the goody bag. I have gone through two tubs of this cleanser in the last two years and I love it. It smells amazing and melts makeup off effortlessly, leaving your skin lovely and soft. Definitely one to try! This is one of the nicest cleansing balms that I have ever used. It smells amazing although it may be a little too strong for anybody with sensitivity. My skin feels amazing afterwards. 5 star product. I know that life changing sounds absurd, but it is true. Past a certain age that youthful glow just left, this product has helped me to get it back. I am also using Retin-A and the creams I have been using just don't do much for the dryness. This fixes that too. Amazing product. And the smell, I am a huge Neroli fan, so that is just icing on the cake. I will use this for life. It's that kind of product. I always come back to this cleansing balm nomatter what. It's soft, luxurious, smells DELICIOUS and makes me feel like I get to have a facial every day. 10000% recommended. This product nourishes the skin while cleansing. It is a multi-purpose tool and can be used as a moisturizing mask, as well, but even if you only use it as a cleanser, within a few uses, you can see how much it's doing for your skin. Also a plus: it smells DIVINE. So far, so good. It does exactly what it says, however quite a bit is needed to feel the full effects of the balm. Sadly I didn't really like the fragrance, though it's subtle - it's like a Moroccan scent - apart from this, it's a pleasing product. Top marks for this rich, beautifully scented and textured balm. It removes makeup very well and unlike some balms (like the Pixi one) it comes off without leaving residue. After using my skin feels soft and plumped. I have re-ordered and expect this cleanser will remain a staple in my skincare regime. The cloths that come with it are truly excellent too - nice fluffy cotton on one side and a slightly coarser texture on the other side which exfoliates nicely. Best Cleanser of all time! If you have dry skin that is dehydrated you will fall in love with this balm. I will not use anything else on my skin as it cleanses my skin beautifully and removes all of my make-up. It's really good to use before bed as it calms you down and you will feel relaxed. I brought this balm because of the sheer amount of oils within it that promise hydration and the balm definitely exceeds my expectations on this front. Cleansers can often dry my skin out and this removes makeup and cleanses my face effortlessly. My problems with this product is that I have a balm by another brand that is half the price and I feel removes my eye make up possibly even better. As an all round makeup remove and cleanser especially if you have dry skin, you can't go wrong - I'm just unsure yet if I'll repurchase. I bought the Christmas bauble 15ml trial size and have been using 3-4x per week for the last 3 weeks. I have oily skin and have the occasional spot. Pros: Wow. What a heavenly smell, like chocolate and oranges! I'm usually puritanical about smells in skincare because they just cause no end of irritation for me but this hasn't given me any to complain of at all! Destroys all-comers of make up, even Duo eyelash glue. Cleans my face up a treat, leaving it soft and supple, ready for the next cleanse. I'm going to try leaving it on as a mask as suggested. Cons: I had a bit of a sting when I used it on my eyes but that was just once, so could have been any random thing. Definitely recommend to all people who have faces, which need cleansing. Bought it after massive hype and recommendation from Caroline Hirons but have to say that the experience was slightly underwhelming. I use it as a first cleanse with a flannel and it removes makeup gorgeously but I'm not sure how it performs as a second cleanse. This does smell amazing though but there are other cheaper cleansers that are priced lower that do the same job so I wouldn't say this tickled my fancy. Smells beautiful, doesn't spread germs around and dry out your skin like foaming cleansers. I have combination skin and it worked a dream. I didn't think I would be swayed from my Liz Earle, but this is a new firm favourite, I'm on my second pot! I have plenty of cleansing balms and this is by far my favourite. It has a citrus like smell, beautiful oily texture and goes on like silk. I use it as a second cleanse after using separate eye makeup remover and water-based makeup remover. I have to say this is probably better for people with dry skin or on the drier side. If you prefer to have the very cleaned feeling of your skin after using this then you should steer away because this does leave skin feeling hydrated with oil. And you have to use a cleansing cloth to wipe it off as directed, splashing it off with water would be impossible. The best for dry/ sensitive but blemish prone skin! Since using accutane I have quite difficult skin but this cleanser smells divine, takes my make up off (except waterproof mascara) and cleanses my skin without it feeling dry. I even prefer using it as a second cleanse or an am cleanser because it gives me a super soft and clean feeling and even diminishes the size of my pores. Never had a single breakout with this. My favourite! The skin care equivalent of taking off your bra at the end of a long day! First things first, this smells like skin care HEAVEN (think the best spa you've ever been too) and it lifts all of my make up - even waterproof mascara and liner - every. single. bit. in one quick and easy routine. I have combination skin and this does wonders for balancing my oily areas and hydrating any dry patches - leaving my skin nourished and glowing (not to be confused with greasy). It's such a lovely, relaxing way to remove your make up and wind down for the day - definitely my favourite part of my whole routine! There are a few really good balm cleansers on the market, but Emma Hardie is the gold standard. I have oily/combo skin and use this both as a first cleanse, and/or a second cleanse. It is lovely! All I could have asked for... and more! I rarely review a product based on its smell, because if it works, it shouldn't matter what it smells like, right? For some reason, I couldn't take the pungency of the orange(? ), especially when mixed with the humidity of a shower. The product separated and I had to swirl it all the time, otherwise all I would get was a glob of oil. The packaging was cumbersomely huge. All in all, I still prefer Eve Lom ( yes, I know, some people dislikes the smell !) As a cleanser, it definitely works gorgeously, but the other factors just didn't make me love this product. I love the fact this balm is multi functioning and can be used as a quick, or overnight mask and can also be used as a rescue balm for your lips, knees and elbows. Worth the price! this is my holy grail cleanser! i cannot go anywhere without this product. It doesn't leave any residue, smells amazing and is pretty much foolproof when it comes to application! it lasts me such a long time, I cannot praise this product enough! I've found my new go-to cleanser - I'll never be without this one. I've used many balms (Eve Lom, Colleen Rothschild, Ren, to name a few) and Emma Hardie is simply the best. The texture is glorious - so soft and smooth on the skin. The scent of the oils is divine - a bright fruity floral blend. And it is a work horse! I double cleanse at the end of the day and this balm - in combination with the double sided cleansing cloth - get every bit of makeup and daily residue off my skin. I have maturing oily-combination skin and I've seen a brighter, more even complexion since starting with Emma Hardie. I live in Canada and am so grateful to be able to get this shipped in. I always have a backup on hand. I bought this after discovering Caroline Hirons' blog. I love it so much I have since ordered another pot. It's really gentle on the skin and yet removes all makeup (I don't wear waterproof mascara, so I can't comment on that). I like how oily it becomes, it really encourages me to massage my face. It's a bit of a ritual. This balm is so much more than just a cleanser, it calms my skin (even bringing down the red inflammation of spots), adds a collection of oils that work in lieu of a serum so I can go straight to moisturiser AND takes off make up and gets rid of dirt. I like to use this one in the morning to set my skin up for the day. Only a tiny bit is needed to do my whole face and the oils allow you to massage your face for as long as you need. I LOVE Emma's micro-fiber cloths, it's good to get one of these for every day of the week so you can wash it after 1-2 uses because the balm doesn't emulsify and leaves a residue on the cloth with whatever dirt you have removed. This also limits bacteria and future spots. It's very rich but does work for all skin types, if you have oily skin only use a little bit, the oils will balance your sebum production. This is a real winner, beauty hall of fame product. I absolutely adore Emma Hardie's cleansing balm it has a beautiful texture and a nice oily slip to it. The scent is rather strong - but I've come to love it because it just works so amazingly (reminds my of a candle by neom 'happiness"). My skin feels clean but moist and refreshed after using this balm, I can also choose to do a massage if I want because of the fab texture. I have quite sensitive skin and I am prone to break-outs but this cleanser never lets me down. I am currently on my 3rd pot (200ml). The only thing - packaging is rubbish, it always cracks somewhere. I have a special place in my skincare-loving heart for this balm. During pregnancy I developed quite severe and painful acne covering my entire face - mainly cheeks - somewhere that I never normally get spots. Being pregnant I was loath to use anything very strong or active such as a prescription cream or lotion. While the only thing that would eventually 'cure' the acne was having my baby and the settling down of hormones, this balm dramatically improved the texture and appearance of my skin during that time. Redness was reduced, dehydration greatly improved, skin looked more plump and acne became less painful and angry-looking. I am convinced this balm also helped in preventing a breakout on top of a breakout. I was so amazed with the results of this that I penned an email (with before and after photos attached) to Mrs. Hardie only to find it sitting in my outbox months later! Love this balm and (im)patiently awaiting more stock! Just a great, amazing product! I love it so much. It removes all my makeup and feel so, so nice on the skin. I am going to repurchase it forever but I wish that I could get the 200ml one. P.S the cloth is also really nice too, so soft and doesn't irritate your skin at all. Can't live without this balm. It's a real pleasure to take off my makeup with this amazing cleanser!